The method of soil improvement whereby granular soils are compacted using depth vibrators is known as Vibro Compaction or Vibroflotation. Naturally deposited soils as well as artificially reclaimed sands can be compacted to great depths. The current depth record lies at 70 meters for reclaimed sands and at 53 meters for naturally deposited sands. The intensity of compaction can be varied in order to achieve the desired effect depending on the foundation or ground improvement purpose. Application of the technology in an optimal manner is an art! 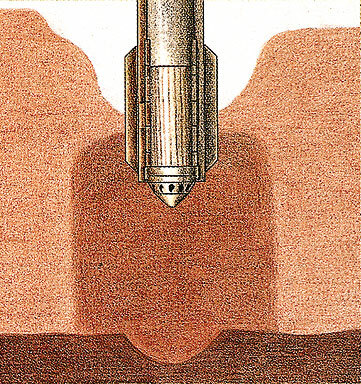 By vibration and the flushing of water and/or air, the vibroflot penetrates to the desired depth. 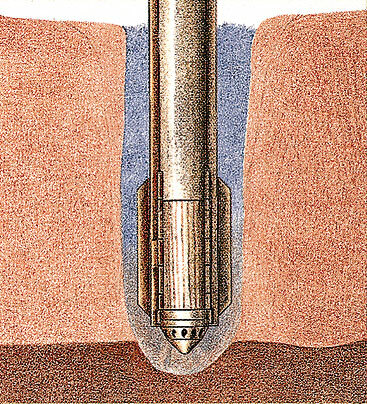 The vibroflot is recovered from a certain vertical distance after a verified holding time or buildup of resistance from the compacted ground. 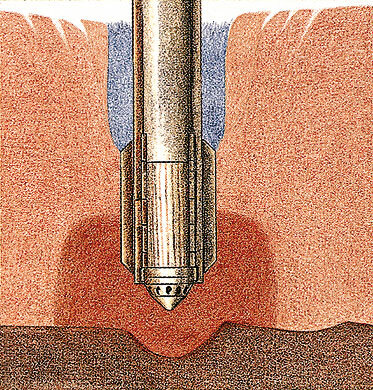 Immediate top layers may be leveled or impact compacted or roller compacted to ensure a ready-to-build surface. The following movie shows a Tandem Vibro Compaction setup during compaction works at the Port of Calais in 2017. This movie was taken during the initial compaction trials, in which compaction grid, holding time and use of water and air are optimized by our experts. made by the video recorder that sequentially scans from top to bottom. This leads to the appearance as if the very stiff steel tubes would be out of rubber. If the movie had been shot at 30 frames per second, which is the default on mobile phones, the vibroflots in the movie would have made the appearance of standing still. The following globally recognized projects, as well as many similar medium size projects were performed by the members of Betterground in either joint ventures or equipment supply and service arrangements. 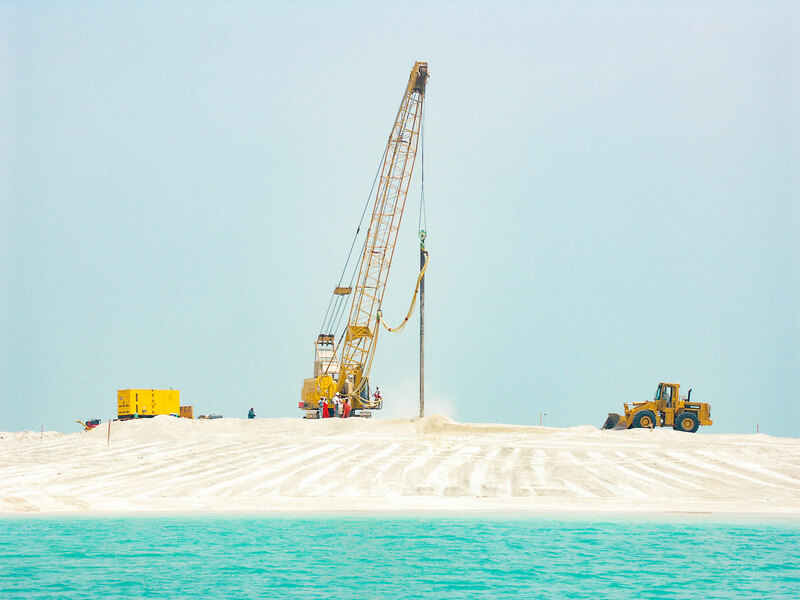 World Island Dubai: Vibro Compaction on first showcase island. 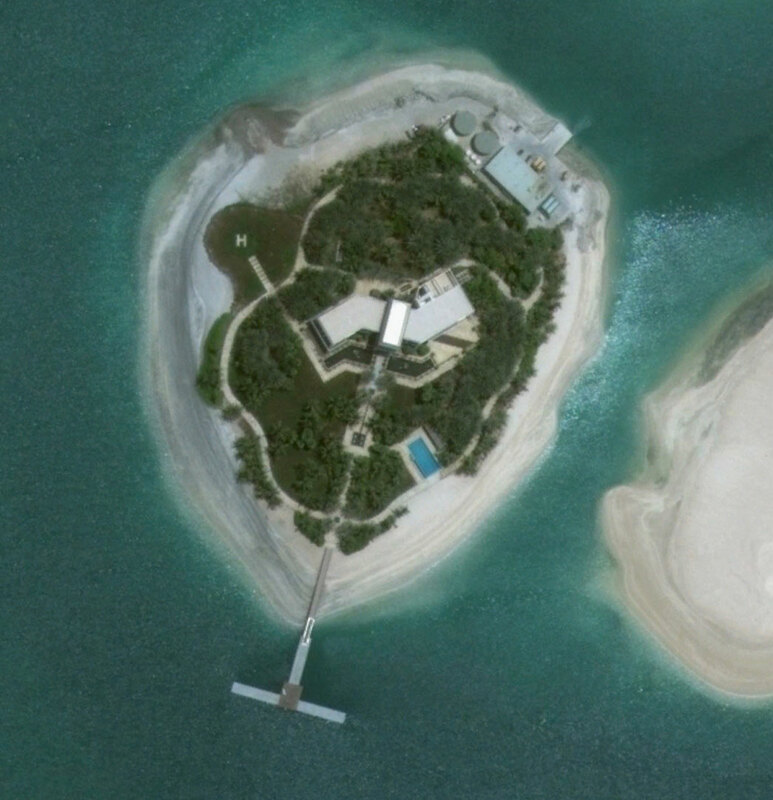 The completed island is seen on the right. Dredged sand keys of land reclamations are compacted from barges before the filling of embankments and land based compaction of the final fill volume.